She goes by alluring names: The Dark Continent, The Motherland, The Birthplace of Humanity. AFRICA. Beautiful, vast, vibrant, unpredictable, industrious. Oh how I love her. I have yet to explore much of this huge continent, but what I have seen so far feels like home to me. I am certain that more than any other part of the world, when I leave Africa, I leave a part of myself behind. And while I am away, it beckons me to return. 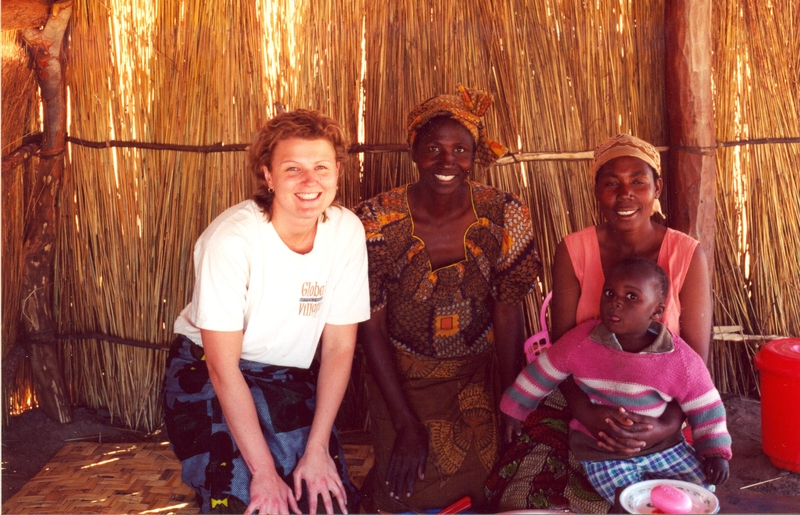 My first trip to Africa was in 2001 as a member of a Global Village Team to Zambia. We were building a village in Kaoma nearly 300 miles due west of Kafue National Park. Vivid are the memories of those I left behind. I met Margaret in Kaoma that June. She was tall and slender with beautiful hands and a broad smile. Her embrace awaited me as I stepped off a thick-with-people public bus having somewhat miraculously survived the journey several hours from the capital city of Lusaka. Although my first trip to Africa, this was my second GV build. Once again, I couldn’t wait to immerse myself in another culture, to learn greetings in a foreign tongue, to see, taste and smell another world. During the course of our brief two weeks together Margaret and I shared many stories and experiences. I saw the mud hut that she was living in, where small animals made their home in the thatched roof. She told me that when the rains came the roof leaked (how could it not?). She told me stories about marriage customs, rites of passage and how she birthed three of her eight children by herself. She showed me the fields where she planted and harvested potatoes to make a living. She took me to the market to buy produce and a live chicken to prepare for the team’s lunch (yep, I helped to kill that chicken, cooked it and ate it too). She also taught me how to make the bricks that would become the walls of her new Habitat home. She told me with great dignity and gratefulness how much this new house meant to her and her family. I’m happy to say that she and her family have been thriving ever since. Margaret is just one of the people whose memory I forever hold in my heart. She is why I build.